Rhinitis literally means inflammation of the lining of the nose and typically causes symptoms such as itching, sneezing, a runny nose and nasal blockage. It can be caused by allergic or non-allergic mechanisms but differentiation is important to determine if modifying your environment or reducing exposure to the causative allergen(s) will lead to an improvement in symptoms. It may also determine if immunotherapy may be helpful. Allergic rhinitis is common and affects up to 30% of the UK population, and may be seasonal – due to pollens (i.e. 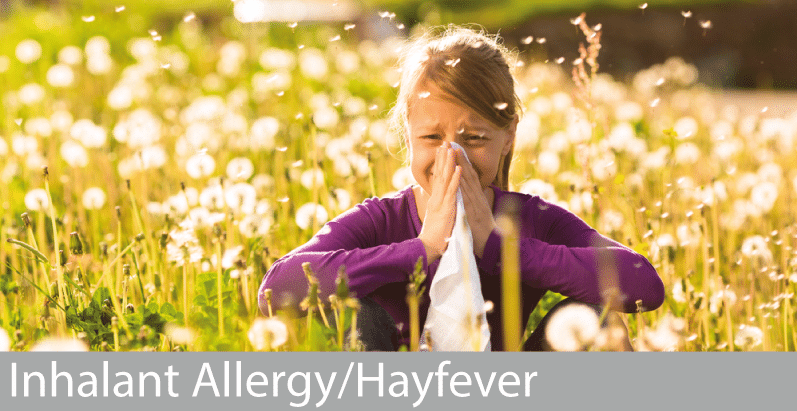 “hayfever”), or persistent – for example due to house dust mite, cats, dogs, or other pets. People often perceive this as a persistent cold. Non-allergic rhinitis can be caused by infection eg the common cold virus, atmospheric particulate matter, changes in environmental temperature/humidity, medication and even alcohol. Allergic rhinitis may be associated with chronic sinusitis, glue ear, exacerbations of asthma and nasal polyps. There is increasing evidence that treating rhinitis effectively, which often co-exists with asthma, can greatly improve asthma symptoms too – the “unified airway”.